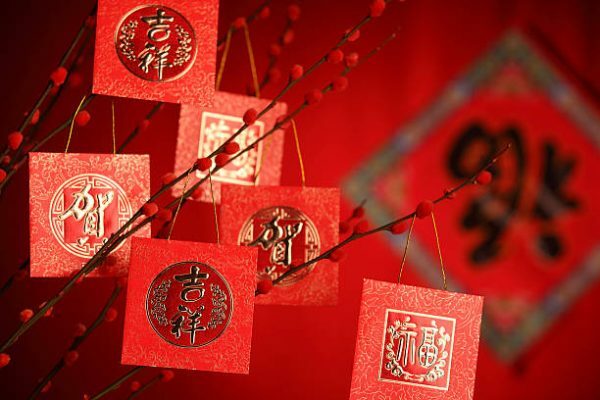 With Chinese New Year (CNY) just round the bend, it is no wonder that companies large and small are scrambling to capture consumers’ attention. According to China UnionPay, Chinese consumers spent a whopping 962 billion yuan during 2018’s CNY, and this number is expected to increase by 10% year-on-year according to the Ministry of Commerce. In a bid to cash in on the increased propensity to spend during this period, here are some fun, engaging and thematic marketing strategies to consider. To engage the discerning consumers of today, getting them to collaborate in content creation will be helpful. The effectiveness of user generated content can mirror that of a word-of-mouth’s if executed well. Companies in China, for instance, have tapped on the popular Chinese short video app, Douyin, to encourage users to create their own content. Hai Di Lao, a popular hot pot restaurant, got their customers to create Do-It-Yourself dishes at their outlets with hashtags on Douyin. The videos went viral, and subsequent diners even requested for ‘Douyin dishes’ to be served. During their launch, Michael Kors also initiated a successful hashtag challenge on Douyin. The campaign saw 30, 000 users posting videos of themselves cat-walking with Michael Kors’ products. If you are thinking of going big with your content, try exploring creative forms of media. Alipay’s Augmented Reality (AR) Red Envelope Campaign is an interesting example. Users need to collect five different virtual ‘Fu’ cards by scanning a picture of that Chinese character, 福, in reality. This merging of the online world with the offline mimicks the location-based game, Pokemon Go. By the night of New Year’s Eve, 251 million users completed the challenge and shared 500 million RMB of red envelope cash. The marketing efforts by Alipay were quickly supported by brands such as KFC as they tapped on the platform to give out cash and gifts to users. Apple, on the other hand, explored creating art for its line of products. The company got young artists to create CNY Drawings (Nian Hua) according to various idioms in 2017. These paintings were then made available as festive background photos for iPhones and computers. Live video is another trend to look into. Not only is it cheaper than producing high quality and well edited videos, live videos provide raw footages that can be perceived as more genuine and preferable. To strike a chord with your customers, throw in the emotions associated with CNY’s values and traditions instead of listing facts. Tiantian Tu, a Tencent photo-editing App, created a campaign that allows users to embed photos of their loved ones into a family portrait template that resembles the aesthetics in 1978. On New Year’s Eve alone, 1.6 million users were recorded to have taken part. On a similar note, Coca Cola received 650, 000 uploads in its 2013 CNY campaign in China when they asked people to nominate people who made them happy through customisable internet meme templates. Both companies’ success can be attributed to their innovative way of addressing the theme of family and warmth which is particularly pronounced during CNY. Thankfully, you do not always need a team of developers to create complicated apps to tap on the emotions of customers during CNY. A good case in point would be the “You Are My CNY” video in 2016 created by McDonald’s. It features Ronald McDonald and Chinese travellers on their long journey back home, before Ronald McDonald reunites with the real Ronald McDonald at a restaurant. Tiger Beer also has a Reunion Project in 2018, featuring a touching video of an elderly penning a letter to his children who live abroad. Subsequently, consumers can nominate loved ones for a trip home in time for reunion dinner on their website. Consumers who resonate with the hardship faced to connect and get together with their loved ones are able to connect with the brand on a deeper level through such initiatives. While red and gold are traditional colour schemes representative of CNY, it can get boring when consumers are tackled with an onslaught of bright red and blinding gold on their social media feed. Try integrating other colours into your creative collaterals. For instance, Gucci focused on 2018 being the year of the dog, and crafted a beautiful capsule collection featuring dogs as the main print. There is no jarring red in this collection, which makes it aligned to their branding as well. 2019 will bring in the year of the pig, so remember to be culturally sensitive when designing the contents to put out. If your company colour is distinctively red like Coca Cola, you are in luck. In 2018, the company printed various local slang phrases on their red cans in Hong Kong. They also featured two adorable characters, ‘Fu Wa’, which translates to ‘lucky doll’. An animated Fu Wa will send blessings to the users when they scan the red circles on Coca Cola’s packaging. As companies up their game, standing out in the sea of CNY content will become increasingly arduous. By being innovative in your storytelling, you can tap onto this festive period to better promote your brand extensively. When people are sitting around the house during their visits to relatives, you want them to be looking at your content. Vanessa aspires to learn and be inspired every day. Embark on a Japanese food trail with 1-for-1 deals at your favourite Japanese dining outlets.